September 18th, 2017 • Contributor: Kayla Brasher from Kayla Made Co.
Confession: I am one of those obsessive planner girls. I have a planner for everything. I even have special pens for each planner plus loads and loads of cute stickers for any occasion you can think of. 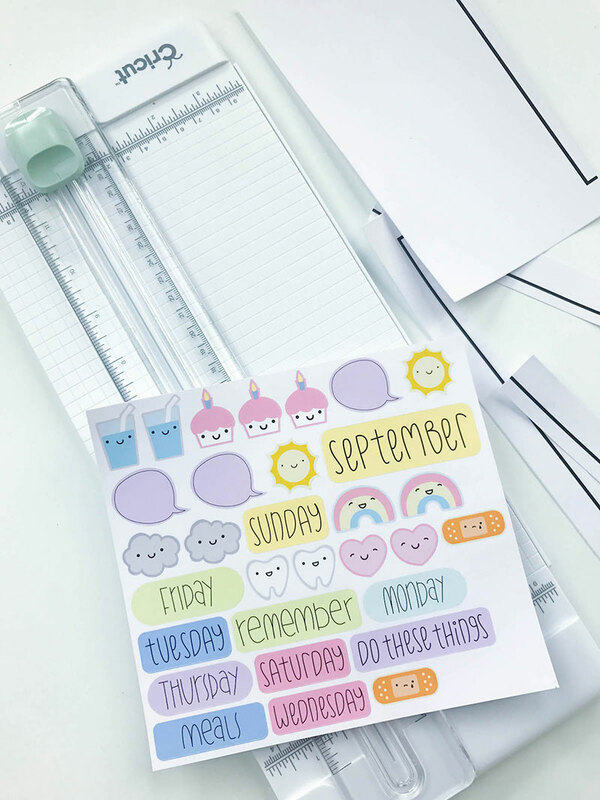 Before I became a Cricut user I purchased planner stickers from Etsy or stores like Paper Source. Now, I can make my own in minutes right from Design Space. Totally customized + instant gratification-- that's my jam. 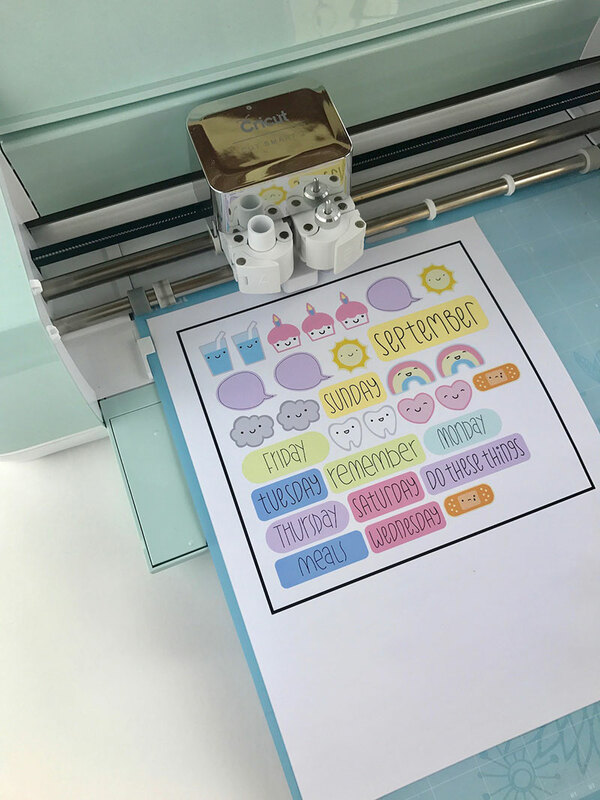 Today, I'm walking you through the steps of creating your own print then cut planner stickers for all of your planning needs! Select the designs you want to use from Design Space and place them all on the canvas. Change the colors to whatever you want and then flatten each design by selecting it and clicking flatten in the bottom right. *The flatten tool flattens your images into a single layer preparing them to be printed. Click the Make it button then click continue. 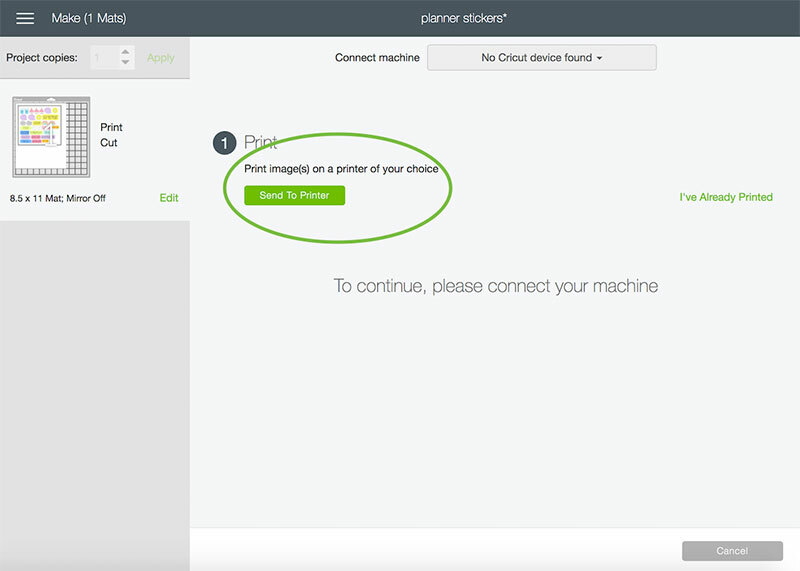 This will take you to the print window where you'll select your printer and print your designs on Cricut's printable vinyl sheets. 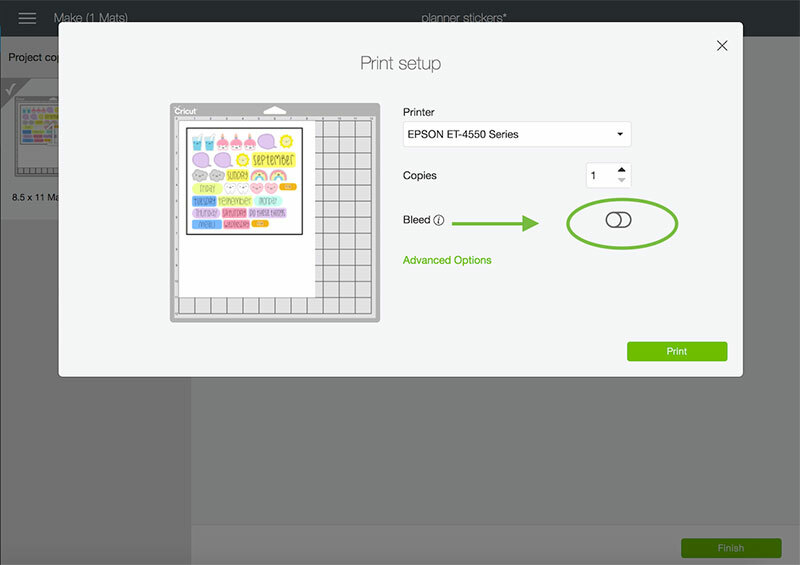 *While in the print setup window you also have the option to turn the Bleed on or off. Bleed is just an overprint of the design so that when cut, there is no white border around the image. Load the printed sheet onto your cutting mat and into the machine. Press the flashing Go button and the machine will read the registration box and cut out all of the designs. You can see how well the machine cut around each design. Cricut does a beautiful job! I like to use my Cricut portable trimmer to trim around my sheet sets. I feel like I have more control doing it by hand and I can get really close to the designs and create nice clean sheets. 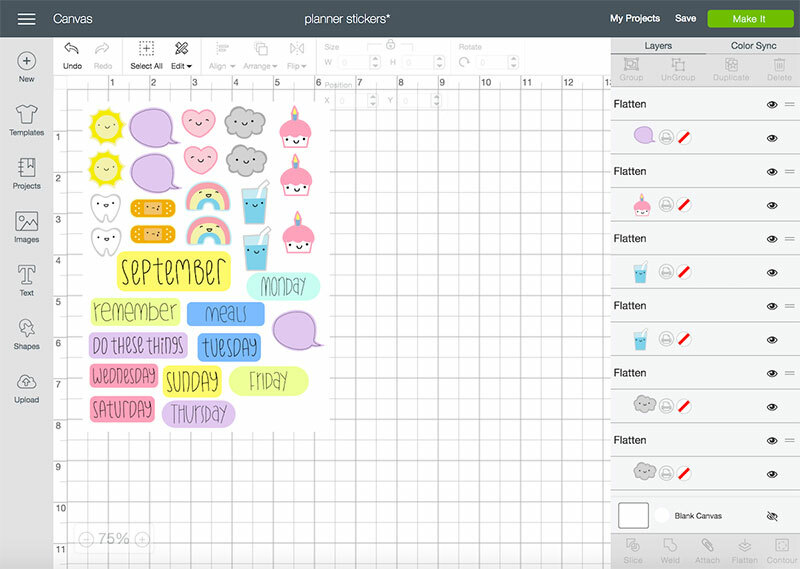 Now you have super cute planner stickers ready to go! I love the printable vinyl because it has a nice sheen to it but it's also the perfect writing surface. 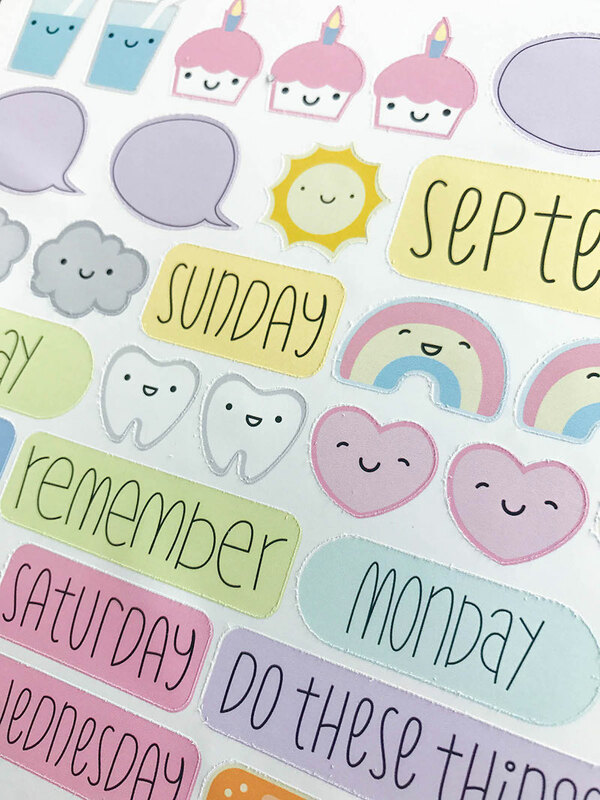 Have you created planner stickers with your Cricut? Leave a comment below! These are really nice!! What type of printer do you use? What type of printer do you suggest to use?? For the longest time I thought that I was the only one that used printable vinyl. My printer will not work with the cricut sticker sheets. I love doing this even for my grandkids who loves stickers. Now Cricut needs to do tatoo paper. My printer won’t print on the Cricut sticker sheets either. Super frustrating, since I made some very cool sticker designs. I’m not sure how to work around it… if I can’t get the image in the first place, it’s hard to move forward. What’s the name of the font used? I use printable vinyl but cricut needs to make print cut sizing bigger. What printer do you recommend for this? Is it laser jet or inkjet? You use an inkjet printer for Print then Cut.